But wait—Easter is about us, right? It’s about our hope? It’s about our security? It’s about our salvation? The whole Easter thing, in a bigger sense, is about justice. It’s about God. It’s about God re-affirming His commitment to justice and confirming His perfect nature again. 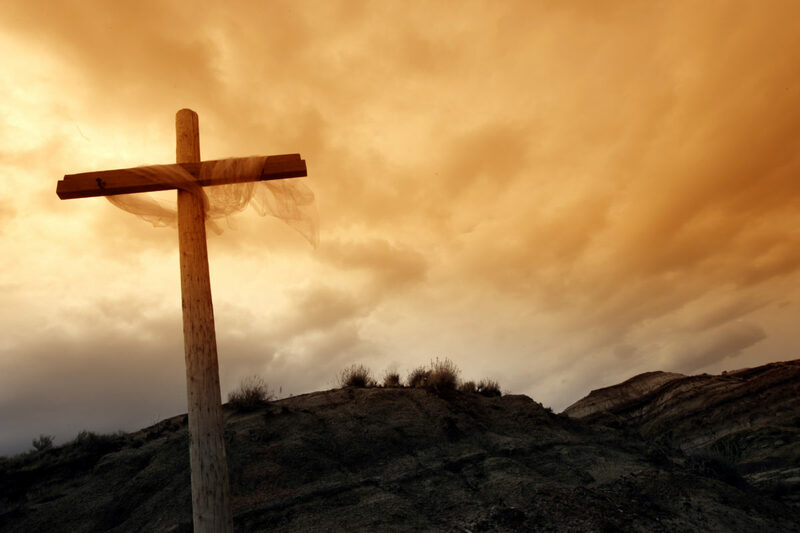 Coming into the very first Good Friday, the perfection of God was in doubt. See if God is perfect, then all His attributes must be the perfect expression of that attribute. Take His love for example. We tend to think of love as we think of “like,” and so in our definition of that word there’s no room for the hard stuff. No room for discipline. No room for grown-up conversation. No room for struggle. But perfect love is most concerned about the good of the one being loved. That means in order to love perfectly, a person (or being) must be willing to discipline, struggle, and even cause temporary pain. That being must be willing to do it because that pain is ultimately for the good of the one it’s inflicted on. If God didn’t engage in those things, His love would be little more than sentimentality. He’d just like us; not love us. And He would no longer be perfect. This perfection was at stake at the cross. Paul reflected on it in Romans 3. According to Him, the justice, and therefore the perfection and entire nature of God, was at stake at the cross. It was at stake because for centuries, God had allowed people to sin without dying. People walked around without regard for justice, doing as they pleased. Now some would argue that a truly loving God would never eternally punish people, and yet if that were the case, God’s justice would be compromised. And then He wouldn’t be perfect. And then He wouldn’t be God. At the cross, there was more at stake than our salvation—the very perfection of God hung in the balance (so to speak). His justice demanded payment for sin, and if there was no payment, God’s perfection would be lost. The cross, in the words of John Piper, is when the wisdom of God found a way to satisfy the justice of God to the satisfaction of the love of God. *This post was originally published by the Threads staff in April 2009.